Delivered in a ceramic pumpkin container, send your loved one the Halloween Pumpkin Surprise to make him or her smiles. Dark purple carnations, orange roses, and green poms beautifully come together in this fall arrangement. 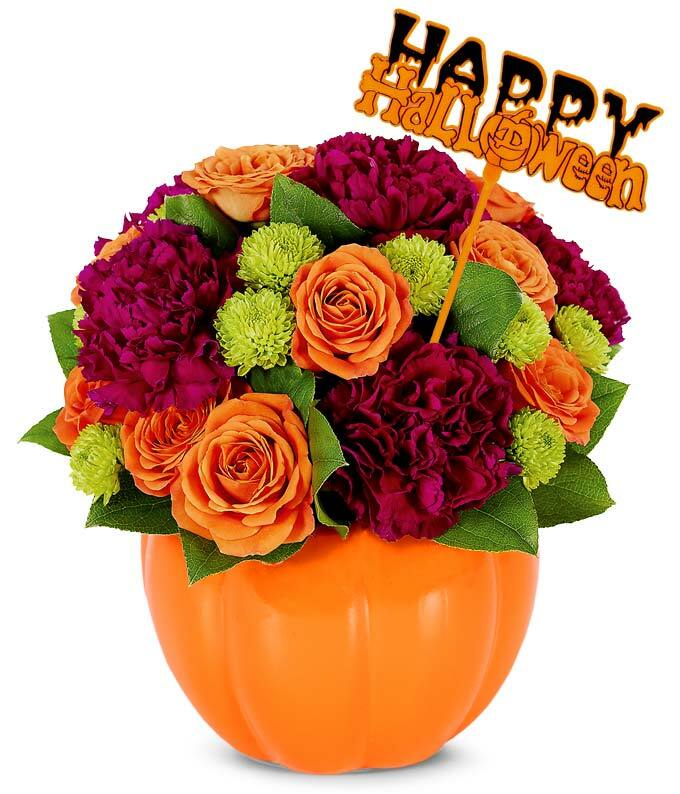 Topped off with a Happy Halloween pick, this bouquet is sure to add floral beauty to the year's spookiest holiday.